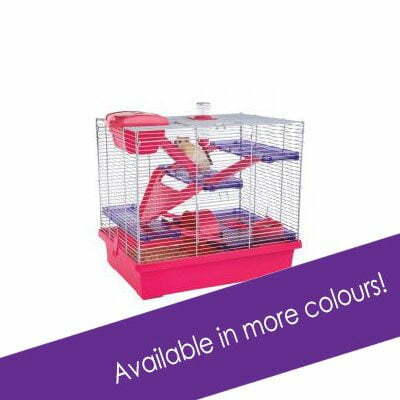 Habitrail OVO Home, Pink Edition is built on Habitrail®’s long-standing reputation for innovate hamster habitat designs that deliver a new world of amazing and entertaining living spaces for hamsters. 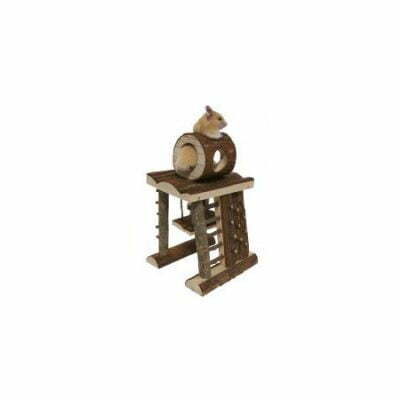 Habitrail’s team of engineers carefully studied every detail of a hamster’s life and created a remarkably refreshing array of housing and accessories that will enhance your hamster’s quality of life. 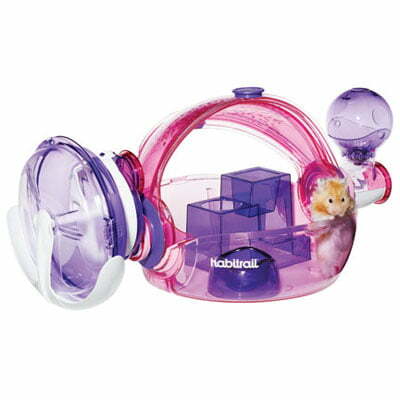 “Habitrail OVO Home, Pink Edition is a complete hamster habitat that consists of a transparent cage and accessories. 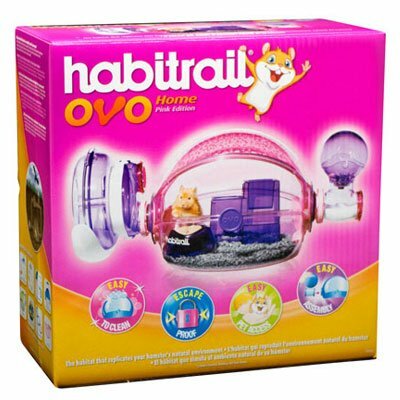 This habitat includes a pink cage, a purple food dish, a purple cozy hideaway cube, 2 OVO pink windows, 2 OVO pink lock connectors, a purple OVO water bottle and a purple OVO trainer (exterior exercise wheel) so you can watch your hamster spin around! The wide retractable roof provides easy access to your hamster and his habitat. The air vents provide air circulation while preventing drafts and the front and back locks will ensure your pet remains securely inside his home. Habitrail OVO Home’s deep base design with rounded corners help prevent gnawing and make cleaning easy!